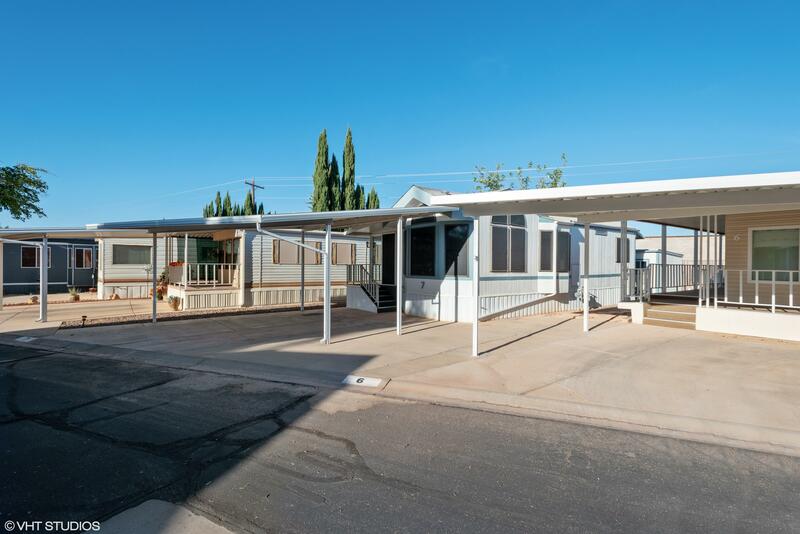 "Newly renovated mobile home on a rented lot in a quiet 55+ community. Pet friendly, with a private park included! 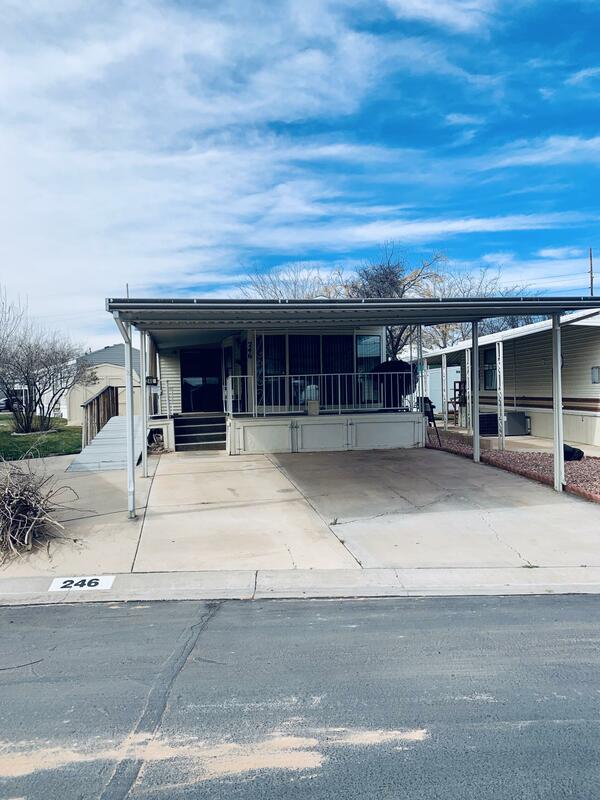 2 bedrooms, 1 bathroom, and 2 covered patios." 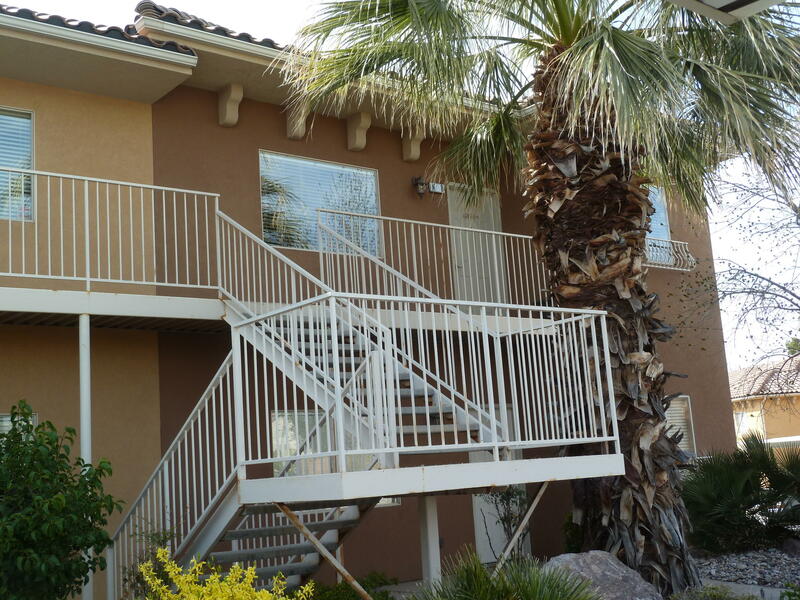 "Don't miss this fully furnished home in a beautifully maintained 55+ development. Located right across the street from the Clubhouse and neighborhood pool, you will love the convenience of the amenities nearby. Use the bonus room for a second bedroom, office, or additional family room. Lots of built in storage throughout and a storage shed behind. Furnishings include refrigerator and washer/dryer"
"This park model has great potential! It has newer appliances (refrigerator, dishwasher, stove, microwave). The home has new carpet, study deck, and tons of white storage cabinets. The home is being sold in as-is condition." "This has a lot of space for the price! 2 bedrooms, 2 bathrooms and lots of living area can make this fairly comfortable when guests come to visit. The association has a pool, clubhouse with exercise & game rooms plus a nice sized gathering area. Seller says neighbors are nicest he's had. Loves it here! * Sq ft is estimated, please confirm for self for exact. Seller added living area.Thanks!" "Updated! Clean! So comfortable and convenient. Extra laundry room and storage area not included in listed sq ft. This place is a dream for 55+ living." "36' 288 SQFT IMMACULATE PARK MODEL WITH 160 SQFT ADD ON, 128 SQFT COVERED PORCH AND 288 SQFT COVERED 2 CAR PARKING + 84 SQFT WORKSHOP/SHED. MOVE IN READY. ADD ON CAN FUNCTION AS A 2ND BDRM. 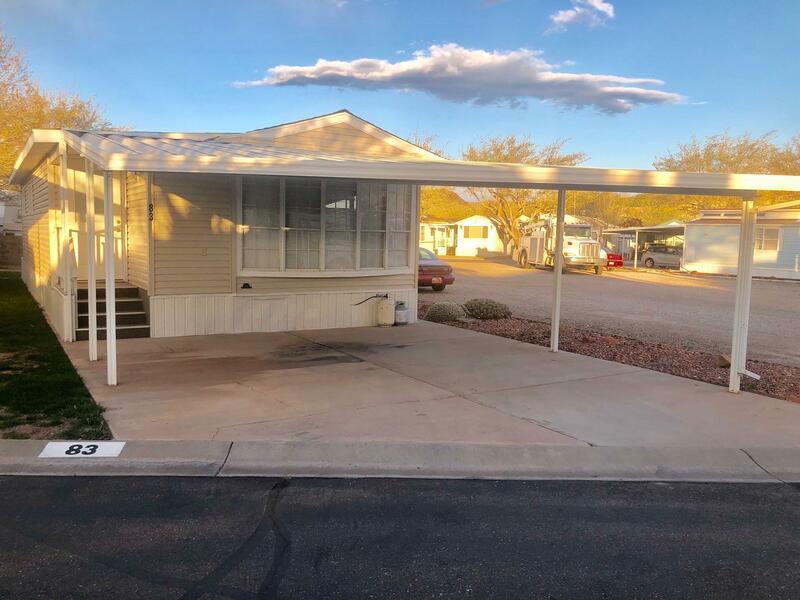 PARTIALLY FURNISHED, NICE LOT WITH PAVER BACK PATIO, LOW $60 HOA DUES, LAMINATE FLOORING AND MUCH MORE. HOA COVERS WATER IN&OUT, GARBAGE, PARTIAL YARD MAINTENANCE & CLUBHOUSE. RENTAL RESTRICTIONS APPLY." "This park model has an amazing back yard, feels open and private. Sit on your deck and watch nature out back, not look at your neighbors fence. 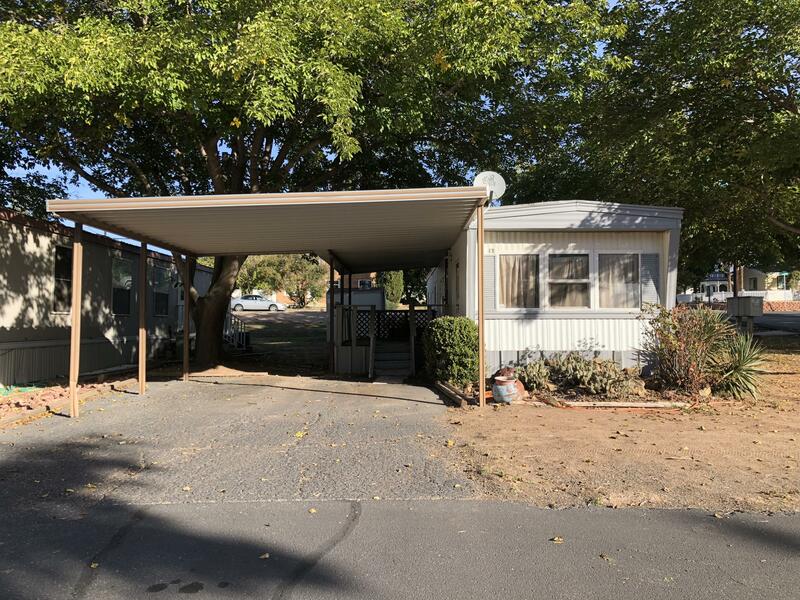 Detached shed has lots of storage, your own laundry room complete with sink and hot water heater.Unit has open and roomy feel, low association dues and is ready for you to move in right away." 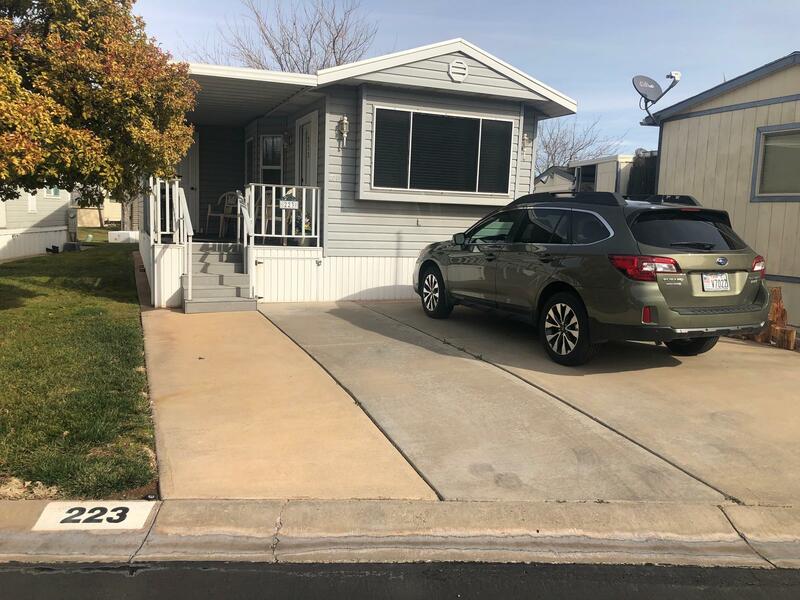 "Immaculate, nicely decorated park model with vaulted ceilings, planter shelves, open skylight, spacious 1 bedroom with attached study area, large cozy comfortable patio with 2 glass sliders and 2 storage sheds. 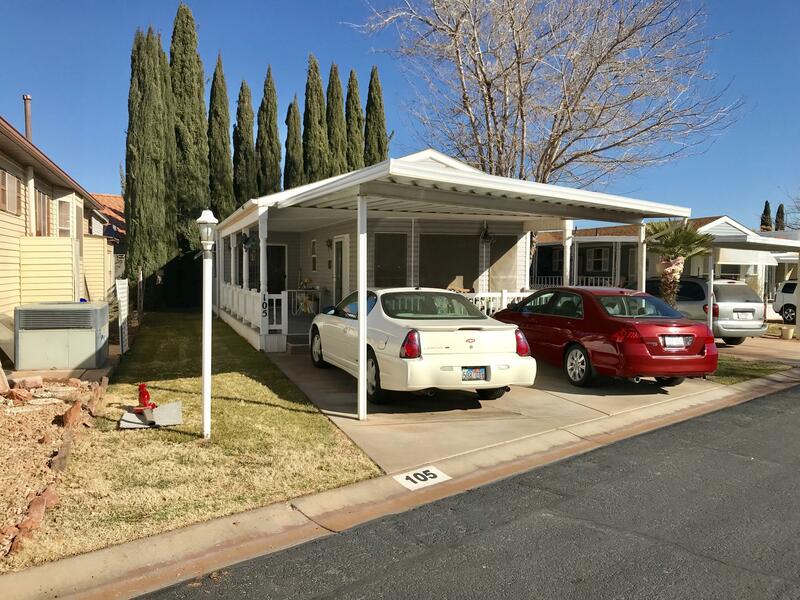 Much, much more located in the quiet back part of a 55+ community with great amenities and low HOA. A must to see." 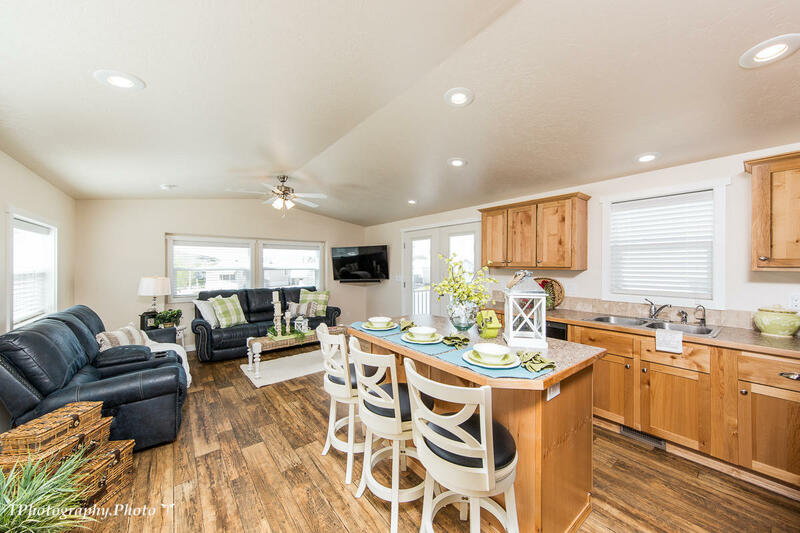 "NEWLY RE-MODELED PARK MODEL READY FOR YOU TO SPEND THE WINTER IN OR LIVE IN FULL TIME. GRANITE COUNTER TOPS,NEW PAINT INSIDE AND OUT, NEW LUXURY VINYL PLANK FLOORS, NEW WINDOW SCREENS, NEW LIGHTS. THIS IS A MUST SEE! SPACIOUS FLOOR PLAN WITH PLENTY OF ROOM TO ENTERTAIN." 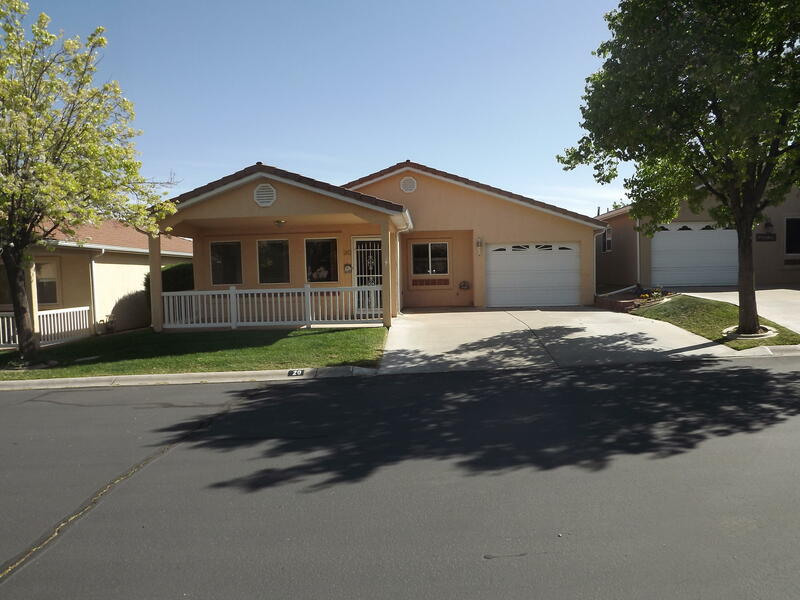 "This home comes partially furnished with a wonderful view of Pine Valley Mountain. 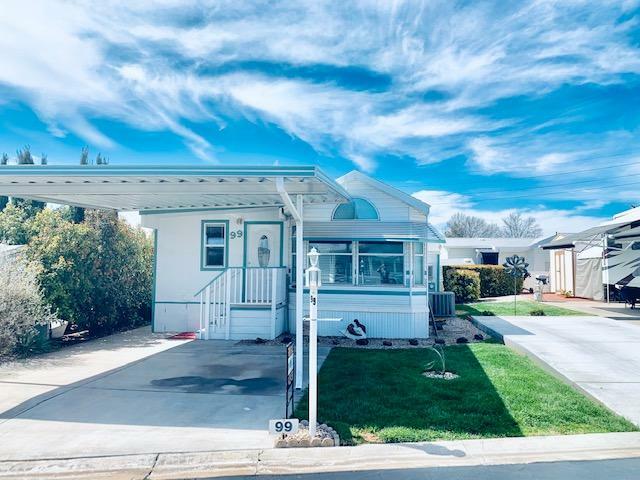 The home is on a corner lot and is neat and clean. This model is in a wonderful neighborhood with beautiful facilities. The immaculate clubhouse, pool, and spa is open for your use." "This lovely and bright two bedroom home is waiting for you to enjoy. The home is furnished with a full sized washer and dryer in a separate laundry room. Beautiful gray tile in on the front porch and the flooring is newer. There is also a shed behind the home." "This lovely two bedroom park model home is fully furnished and ready for you to enjoy. The sink, microwave, and garbage disposal are new. This home has lots of windows and a beautiful large sitting porch. This is a must see!" 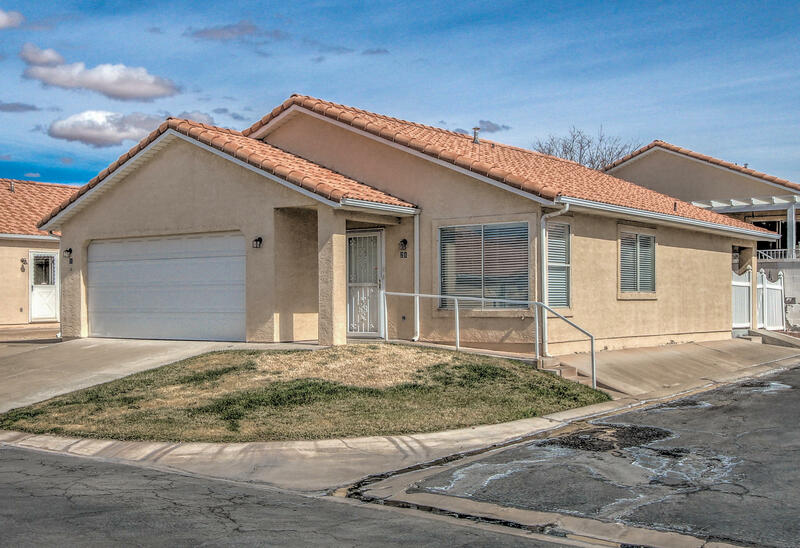 "This spacious home has new flooring throughout installed. There are extra rooms for an office, additional sleeping or another living room. The cabinets are beautiful with tons of storage - The home is bright and cheery with a private back yard. The home is move in ready." "This classy stick-built home is ready for you to enjoy. This home is mostly furnished with newer carpet. The home was built in 1991. It is 592 sq. ft. The view of the red mountains from the deck is spectacular. The home features a lovely front door with plenty of large windows. You can get a loan on this home." 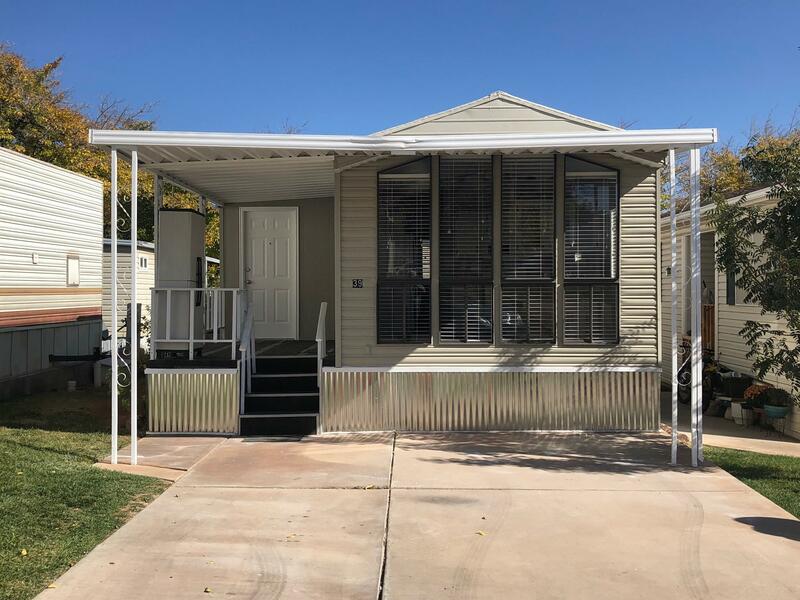 "This cozy two bedroom 2 bath home has two water heaters to insure that you always have hot water! Large stick built storage shed in the back. Portions of the home has new paint and both porches have been repainted. There is lots of storage and two great bathrooms. Move in ready. Call to schedule showings." "Talk about a beauty!!! 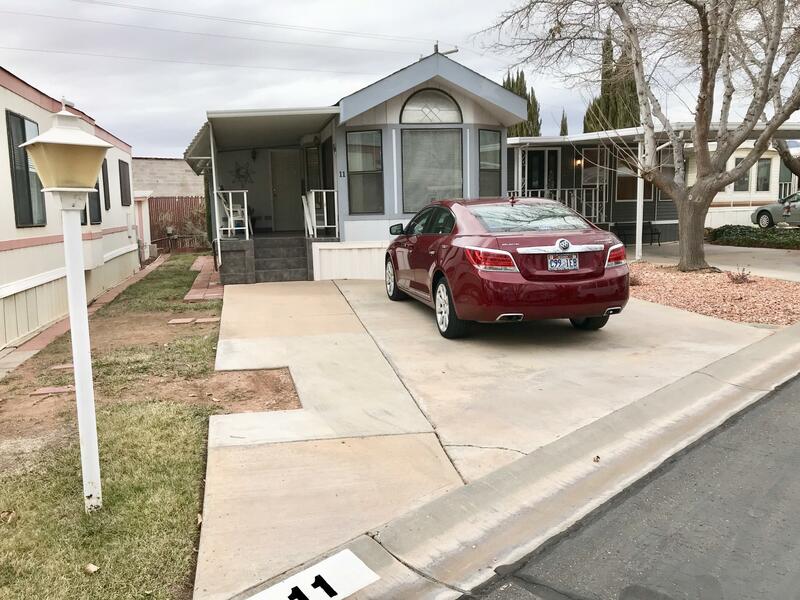 Everything new including all appliances, new plumbing throughout, new A/C unit and paint inside and out, new water heater, kitchen sink, counter tops in kitchen, two inch blinds throughout, new entrance door, new ceramic tiles in bath, hall, and kitchen. There is also a beautiful walk-in shower off of the second bedroom." "This lovely stick built home can get financing on it. The heat pump was purchased in 2018. The roof is two years old. The new add-on room is three years old. All flooring is three years old except the room where the washer and dryer are. The home has snap-on storm windows and is furnished with the exception of the white chair in the living room." 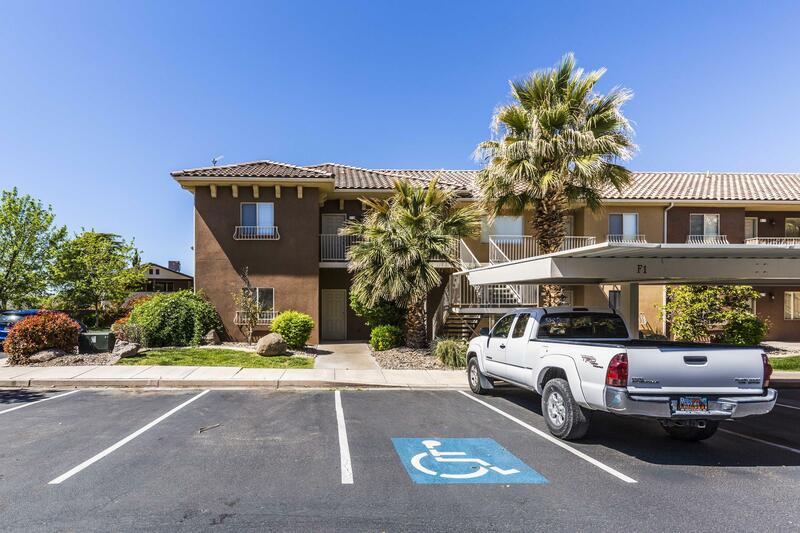 "Comfortable and Clean 2 bed/2 bath Condo in a great location in Washington, near shopping, restaurants, entertainment and easy access to I-15. 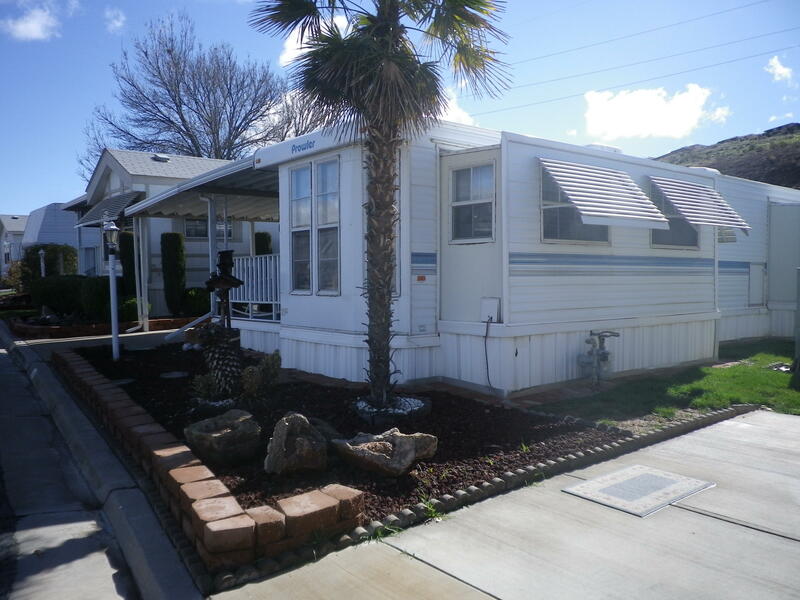 Includes New Refrigerator and all appliances plus washer and dryer. Vacant and ready to occupy. 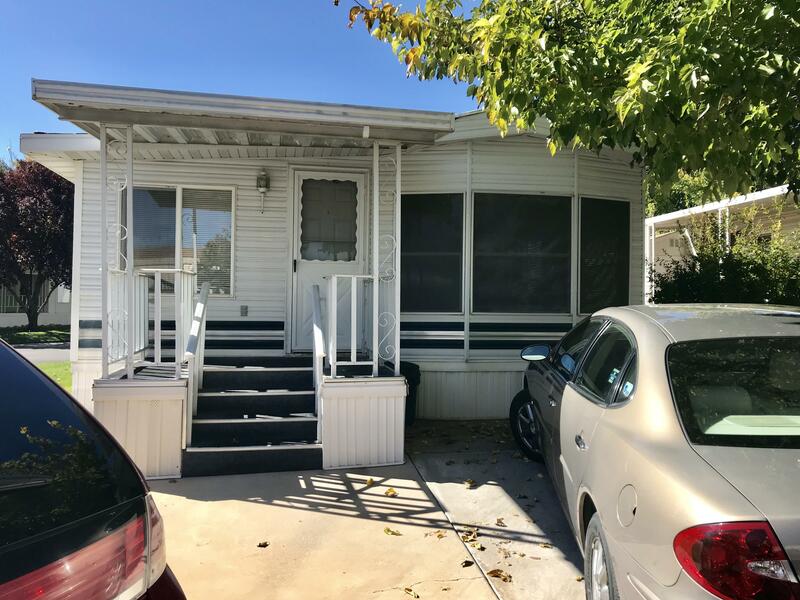 Unit is on second floor and is an end-unit." "This cozy stick-built home has 2 bedrooms and a full bath. The Kings Row 55+ community has great amenities! Partially furnished. Currently being rented out for $850 month to month Clubhouse pool, workshop, and Laundromat. Great condition. Close to shopping, restaurants, golfing, and hospital." 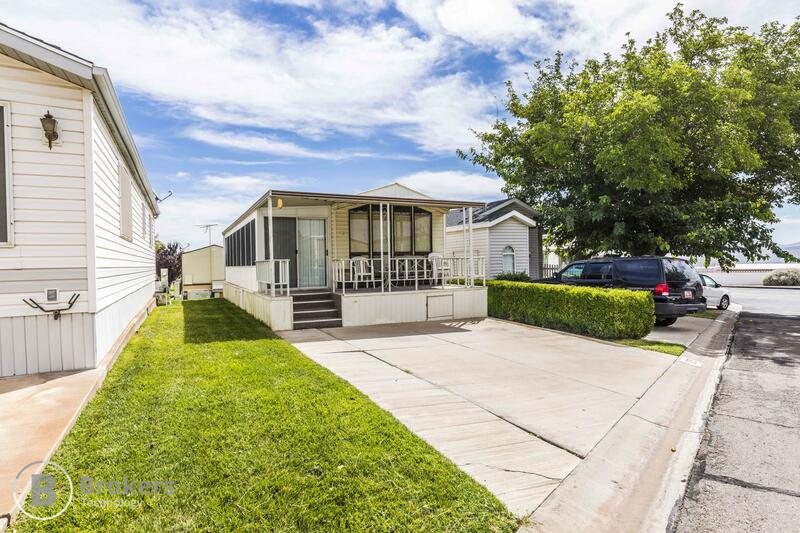 "This stick-built home is a fantastic find in a great community! The home includes an extra large sitting porch. The home is also furnished and all appliances stay!! This includes a full size water heater and washer and dryer. The home also has a newer roof. The facilities at Kings Row are beautiful. There are two motel rooms in the club house for $25 a night for family or friends to stay. Turnkey"
"WOW! 2018 NASHUA 16' X 40' STICK BUILT MODULAR HOME ON ITS OWN LOT. 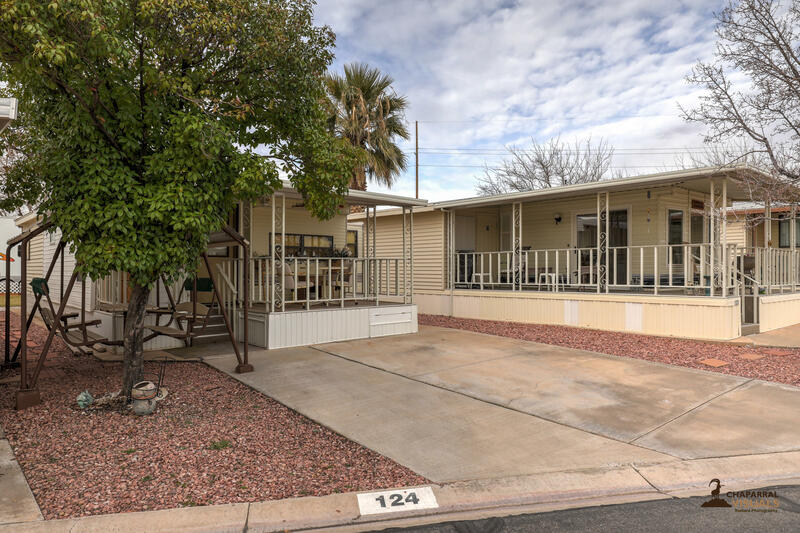 LOCATED IN DESIRABLE 55+ COMMUNITY. HIGH END FINISHESINCLUDING HARDWOOD FLOORS, FULL SIZE APPLIANCES & NEWLY INSTALLED STACKED WASHER/DRYER. RHEEM WATER SOFTENER SYSTEM, CUSTOM KNOTTY ALDER SOFT CLOSE CABINETS, CEILING FANS, & MUCH MORE. 9 X 15 STICK BUILT WORKSHOP W/POWER. 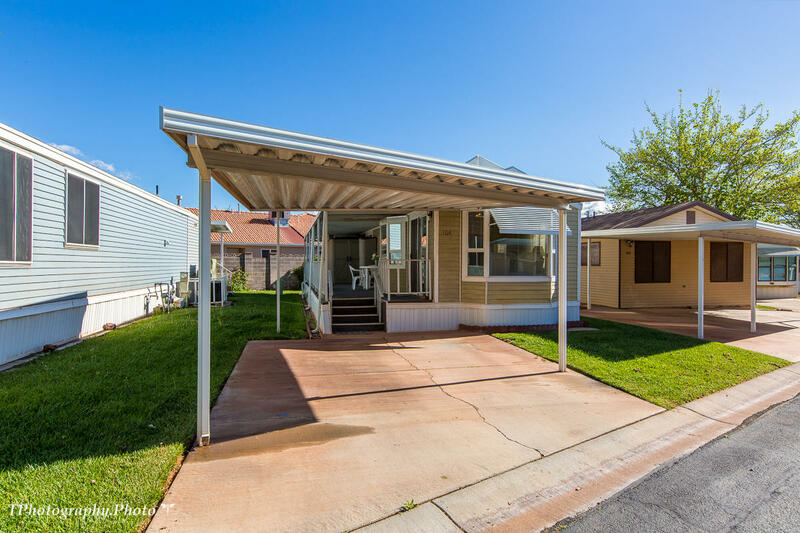 THIS HOME CAN BE FINANCED! LOW $60 HOA DUES." "Can you imagine? I'm a THREE bedroom, ground floor, END unit and I'm ready for my next owner! My current owner loved my zero-scaped backyard space and my on-suite in the master bedroom. I'm a newer unit and I'm very clean on the inside as well as the outside. I've got an updated flooring in the living room and I'm just waiting for you to put your own personal spin on decorating." 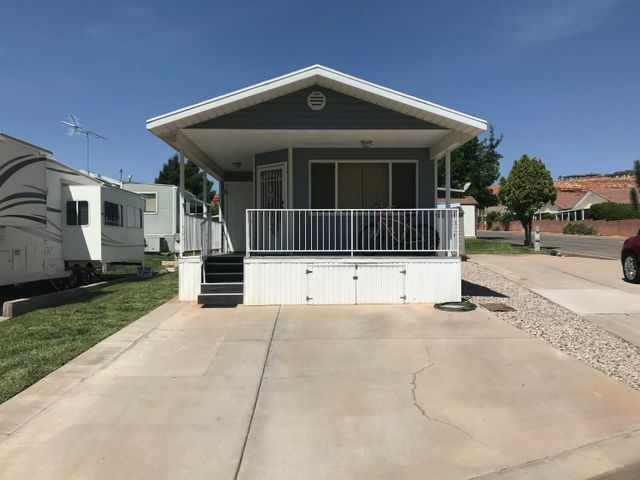 "Totally remodeled in quiet neighborhood. 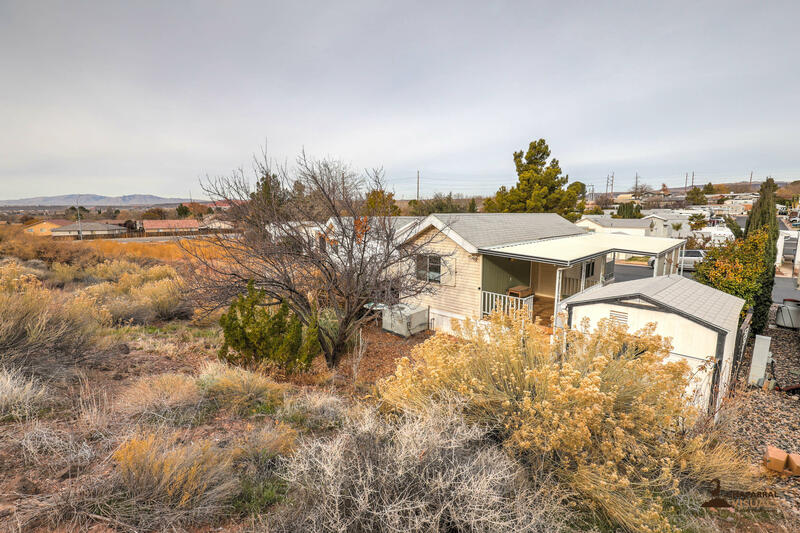 Located in Horizons West 55+ Community, this 2 bed 2 bath home is perfect for Snowbirds or anyone wanting to relocate to Southern Utah. Inside there is New Paint, New Carpet, New Appliance and Water Heater, Granite counter tops and New Light fixtures. The HOA dues are low compared to other areas. 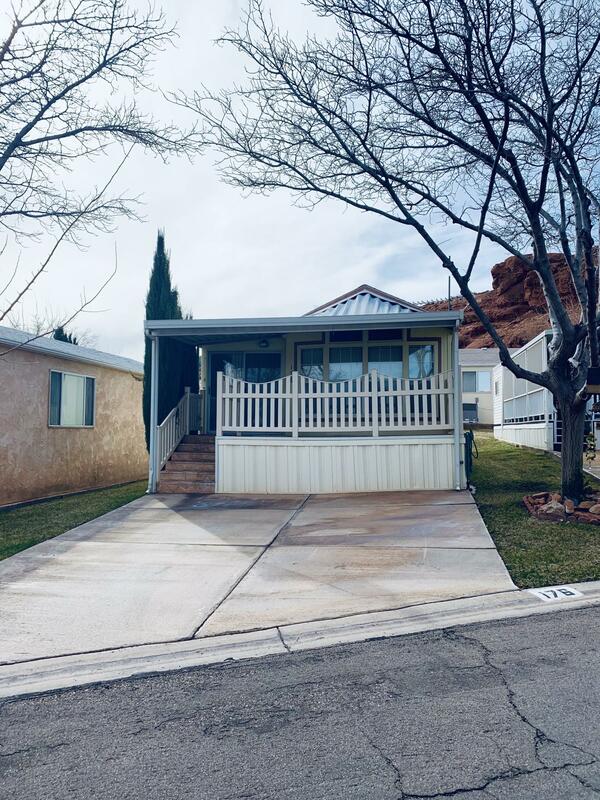 This home is Clean and Move-in ready." 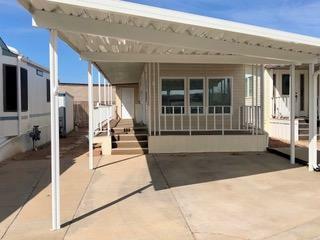 "Beautiful 55+ community close to shopping & restaurants. 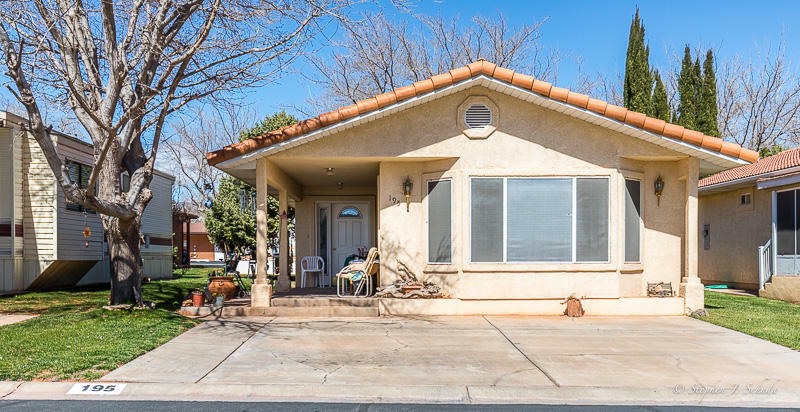 Quiet tree-lined streets (pets allowed) 2 bdr/2 ba home is clean/move-in ready. Vaulted ceiling, plenty of closet/storage space. New dishwasher and OTR Microwave, gas log fireplace in living rm. Perfect for FT resident or winter retreat. Well-managed community with social events, Clubhouse, indoor pool/spa, low HOA. Agent related to Seller."